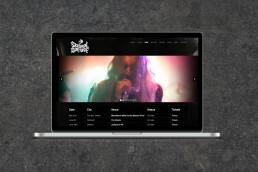 Up-and-coming metal act Skeletal Damage came to us with a brief which included the creation of their brand identity, and for a website. The hand-drawn logo which we created now features on all of their merchandise. 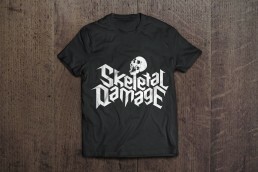 When the band played Download Festival, there were plenty of branded t-shirts in the crowd! We designed the CD inlays for their first album, and designed & built the band’s official website.